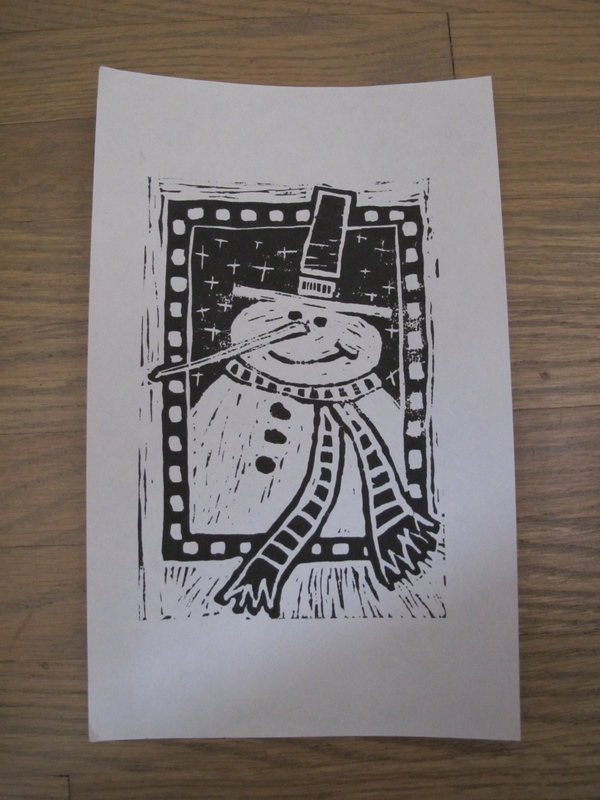 Several months ago I signed up for a class at The Art Tree to try my hand at making lino prints. Over the course of three weeks we carved and printed using a variety of materials. I’d done some of this printing years ago, but the softer carving materials which are now available make the process really enjoyable. During the course I carved several blocks with heart shapes, a baby portrait and an elaborate flower. I was hooked. 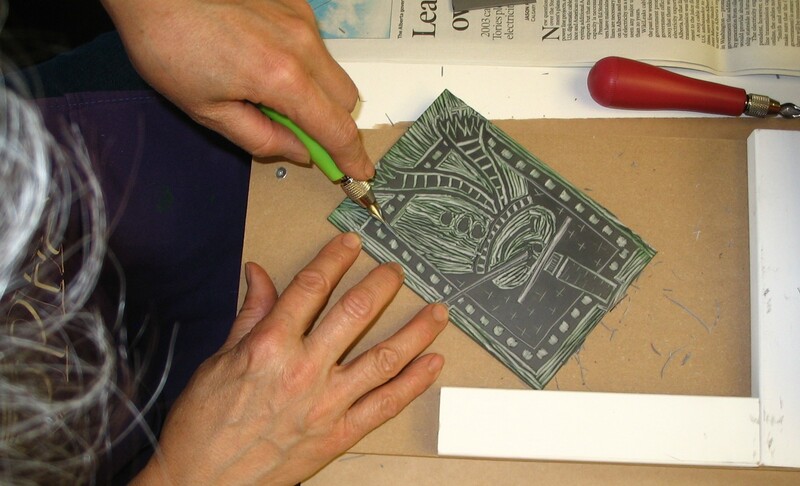 I’ve spent several evenings since then working with my friend, Susan Fae, carving and printing. In my usual enthusiastic manner, I ordered some supplies from Curry’s Art Supply in Toronto. Now I have enough block material to keep me occupied for quite some time! (That time could be measured in years rather than months or weeks.) I discovered that I love carving blocks. This is of course part of my problem – I love SO MANY THINGS! I thought it would be fun to carve a design for a Christmas card. Here’s the snowman block I made. 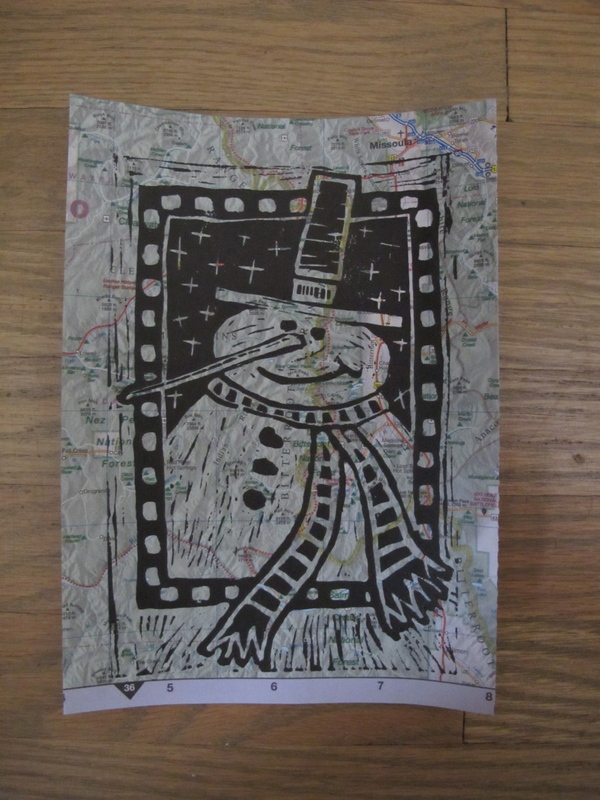 Notice that the snowman isn’t actually printed on a card yet, as I’m still getting a feel for the printing process. I like the effect of printing on a map and can’t wait to try other printed backgrounds. Since I don’t need a lot of Christmas card designs, I figured a very usable image would be for thank you notes. 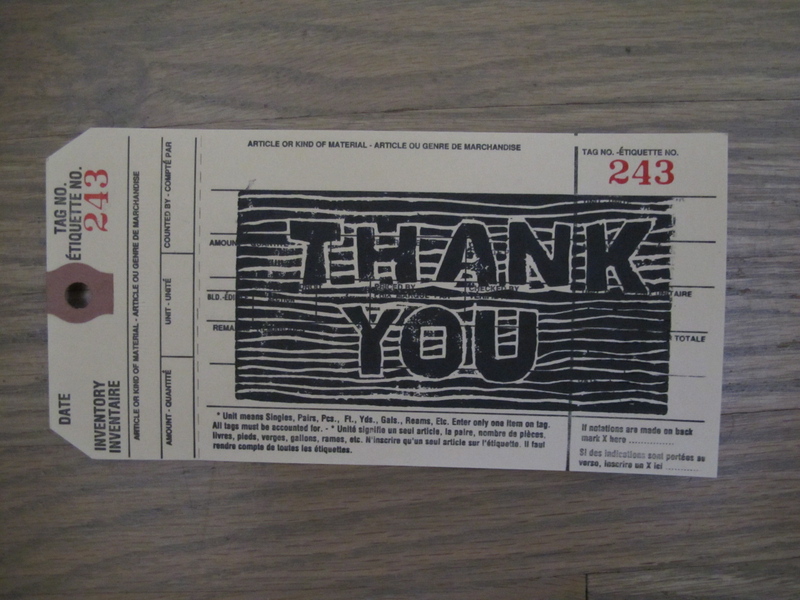 I carved one version of “thank you” tonight. I printed on tags which Susan Fae was going to recycle. (She changed her mind and kept them for us to print on. She is learning to think like me.) I think they look great. 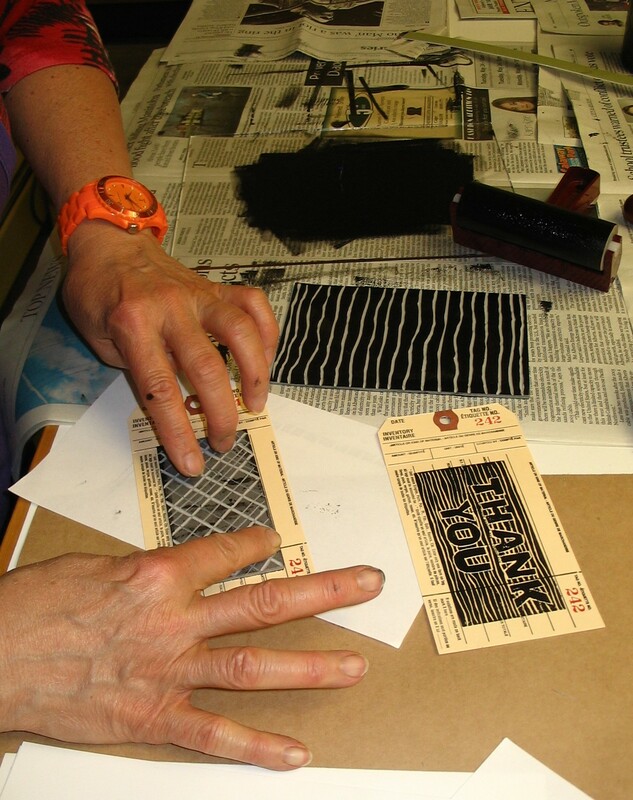 I’ve carved some background texture stamps, but I’m not sure what to carve next – there are just so many possibilities! Any suggestions? I’ll post more photos of the printing session later. Nice blog. I like the “Love so Many things” and yes I’m definately learning a few things from you. The lino block looks great. So it’s like Christmas in June, you are so organized, thinking of Christmas already..